All of the trainers in our Rayleigh gym are trained, qualified and friendly to make your experience as enjoyable as possible! We understand that no two bodies are alike and will work with you to get fit at the right pace. Chris is the owner & founder of FungiFitness. Chris is a runner and a triathlete competing nationally and internationally. One of Chris' proudest achievements is competing Marathon des Sables 2014 and finishing 81st out of over 1500 participants. Notably top 5 in the 40+ age category! Chris has also qualified multiples times for the Ironman triathlon world championships in KONA Hawaii. Overall, Chris has been in the competitive sport scene for over 30 years and is still competing to this day! Lee is a qualified Level 3 Personal Trainer. He specialises in Power lifting and is currently competing and training several clients who also compete. He believes that exercise, along with a balanced diet is the key to both a happy and healthy lifestyle. He is approachable and trains people right from the start, irrelevant to whether they have ever participated in any training before. Being easy to get along with means people never feel uncomfortable or judged when training with or around him. 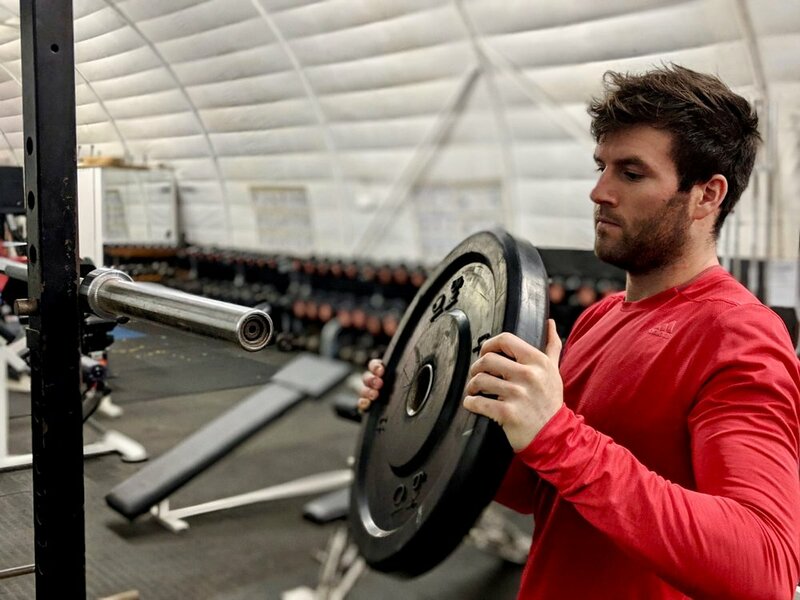 Matt attained a BSc Sports Science Honours degree from Loughborough University, is a qualified Level 3 Personal Trainer, has background as a professional triathlete and 10 years fitness industry experience. He endeavors to form a strong partnership with his clients to achieve their health and fitness goals. His approach is to create an environment that progression is inevitable, taking each individual into account and constructing a training strategy to efficiently reach your goals. From his background in professional sport he understands how to help someone ignite their work ethic to create long term physical and lifestyle changes. Matt looks to share his nutritional knowledge to equip clients with the ability to make smart dietary decisions to complement their training and improve their health. LLOYD HAS BEEN A PERSONAL TRAINER AND S&C COACH FOR THE BEST PART 11 YEARS. HE HAS BEEN A FULL TIME PROFESSIONAL CYCLIST SINCE 2015 COMPETING AT NATIONAL AND INTERNATIONAL STAGES. HE PRACTICES WHAT HE PREACHES, WHICH HE BELIEVES IS THE KEY FOUNDATION TO HIS SUCCESS AS AN ATHLETE. QUALITY, EFFECTIVE AND EFFICIENT TRAINING METHODS ALONGSIDE A HEALTHY, BALANCED AND ENJOYABLE DIET. THE WEALTH OF KNOWLEDGE AND EXPERIENCE LLOYD HAS, HAS ENABLED HIM TO WORK WITH A LARGE DEMOGRAPHIC OF CLIENTS AND WE ARE SURE YOU WILL HAVE A REALLY GREAT TIME TRAINING WITH HIM.